This is the book for you if you are a self-declared bacon lover who is ready to go even beyond and explore the world of cooking with the whole kit and kaboodle! Filled with beautiful stories, descriptions, mouth-watering photos, and over 100 incredible recipes dedicated to the entire pig, you will likely want to read this book cover to cover as if it were a novel. At least you will if you are anything like me. I grew up watching my Mom go to bed at night with her cookbooks as her novels and pleasure reading. I have apparently inherited this same trait… as has my oldest son. 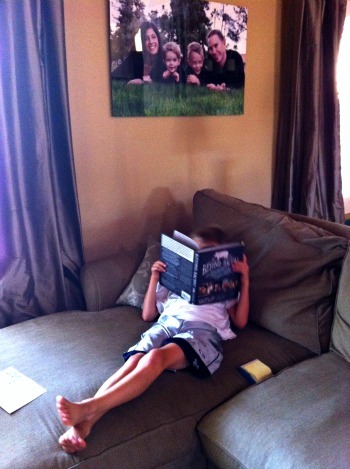 We both love “reading” cookbooks, and this one did not disappoint. When this one arrived on our doorstep, and I told my son that it was by the same authors who wrote Eat Like A Dinosaur, he immediately opened it and proceeded to post-it every single recipe that he wanted us to make. And he has held me to cooking through this book. We have really been having fun with some of the inventive and creative recipes…and the boys have been getting a kick out of all the different ways you can use pork. Okay…A little more about the book…. And did I mention the photos? Oh. Well… I’m telling you now. Beeeautifulll! I am a super-visual person and the photography throughout this entire book had me wowed. If you don’t believe me, you can go check out the 76 five star reviews (out of a total of 77) over on Amazon to see how much others have been enjoying this book as well. Now, I would love to share a copy with one of you, my wonderful readers, so that you start enjoying this one too. UPDATE: THIS CONTEST HAS ENDED AND THE WINNER HAS BEEN NOTIFIED BY EMAIL!! If you would like a copy of this book, just simply do One, Two, or all Three of the following for a chance to win one. Just leave A SEPARATE COMMENT for each one that you do so that you can earn an extra entry for each. 2. Follow Cook It Allergy Free and/or Paleo Parents on Facebook, or tell me if you already do. The contest will end on Thursday, August 1st at 9am PST. The winners will be announced then. You must be at least 18 years old to enter. Disclaimer: While I did receive an advance copy of the cookbook, I was not paid for this review and the opinions are entirely my own. The cookbook included in this giveaway is being provided by me. I already follow both you and Paleo Parents. I have read and heard so many exciting things about this book!! I do follow both you and the Paleo Parents!! I follow cookitallergyfree and paleoparents on Facebook. This really is a book I would like to have as I am always on the lookout for gluten free and healthy. I bake and cook quite a bit and would really enjoy this book. The cover looks awesome. This book intrigues me because we recently started raising our own pigs. Our first slaughter was back in May. I am still learning the ropes on how to prepare the entire pig. I would love to have this book and all it’s recipes to help me along the way. i am so happy it is so well received even though most are not raising their own or easily has access to all the piggy parts! already a fan of you both. shared on pinterest and twitter. I also read cookbooks for pleasure reading. I get emotional over them. Beyond Bacon sounds delightful. I like most pork, but really love bacon. Breakfast isn’t breakfast without bacon, and breakfast can be any meal of the day! I am intrigued by this book because we are a dairy and soy free house and we love pork and paleo living. We follow Paleo Parents of Facebook. 1) I am most intrigued by the recipes to make homemade bacon & pancetta. 2) I follow Paleo Parents on FB. 3) I pinned this on Pinterest. I’m intrigued by this book because food sensitivity testing just showed that pig is 1 of only 4 meats that I can still have. I really need to learn to expand my repertoire. I am sharing this on Pinterest. We’ve been wanting to split a 1/2 pig with friends of ours, and this would be an awesome book to add to the recipe arsenal for pork!!! Oh yeah, and Bacon! Anything to help make my life with gluten free and food allergies easier and tastier will be most appreciated. I follow your Cook it Allergy free. I have Celiac and two of my children are Gluten Intolerant. I would love more recipes. We all love bacon. I would love to make my own sausage, among many other reasons I want this book! I’m considering going partial paleo and this book has been posted “everywhere”… Would love to have it to explore the paleo options! Would love to win. I have just started eating Paleo. 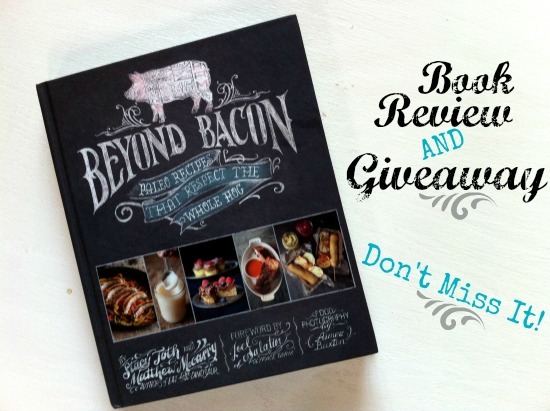 I would love to win a copy of this book because I am trying to eat Paleo more often and I love bacon! Thanks for the giveaway. I follow you and paleo parents on Facebook! Love bacon! Shared on Facebook! Would love to try the corn dog recipe & learn about lard! I am sharing the contest on Facebook! 😉 Thank you!!! The beautiful pictures and how to use all the pig is what intrigues me. I am most excited to try out this cookbook to learn more about cooking with lard since it’s completely new to me! 1. I just started Paleo on July 1 and am so interested in owning this cookbook. I own Practical Paleo right now and am loving all the recipes that book offers. With this book, I’ll be able to delve even deeper into the Paleo lifestyle and really expand my cooking knowledge. A beautiful book! I want to learn how to cook pig much better, I know how to cook bacon and everything else is hit or miss. I follow you and Paleo Parents on F.B. I love pork…especially since going paleo! That is why this book is so intriguing to me! Can’t wait to see all these recipes! I follow you and Paleo Parents on Facebook! I’m intrigued because I was raised only cooking the basics – pork chops, bacon, pork loin…it would be exciting to learn about the not so popularized parts of the pig that are just as tasty! Already follow Paleo Parents and am looking forward to following you as well. Liked on FB! About the cookbook – I already love everything that “the Parents” do, so I’m interested in EVERYTHING they have in the cookbook. But I am most anxious to learn how to render lard. That will be first! I am interested in this cookbook because I have Ulcerative colitis and I follow the specific carbohydrate diet and a lot of Paleo recipes fit perfectly into this eating plan. I love being able to have more and more ideas for meals. Thank you for the giveaway! I am intrigued by the use of the whole pig, but as especially looking forward to bacon jam!! Already follow paleo parents, and will be following you today! I sooo want this cookbook. I’ve been following Paleo Parents for a while now, and love the stuff they create. I love pork of any kind and would love to be able to own this book to create more of their lovely dishes! Awesome give away, and I’m glad to have found another great website with recipes to try! I’m intrigued by the sweet potato drop biscuits, and bacon jam. I want to know how to make these. I just shared this on Pinterest. I forgot to mention the maple lard scones in my previous entry. That is just plain adorable Kim! I’ve got the book, but haven’t handed it over to my niece yet – I bet she will be engrossed in it too! 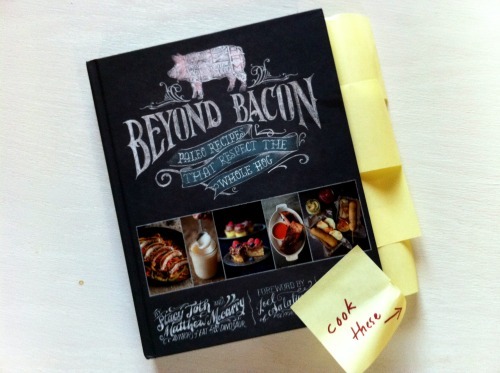 I LOVE everything bacon and would love to have this cookbook! My daughter and I both are celiac, and I just started following Cook it Allergy Free on Facebook. My whole family really gets into cooking good food and I really enjoy reading about healthy eating. I enjoy the recipes shared on the Paleo Parents website, and would like to see more of their recipes. I need some help with paleo-style meal planning, and I think this cookbook will have some great ideas! I follow both Paleo Parents and Cook IT Allergy Free on FB.